A new AP report claims that a Trump campaign manager covertly worked for a Russian billionaire to "greatly benefit the Putin Government." 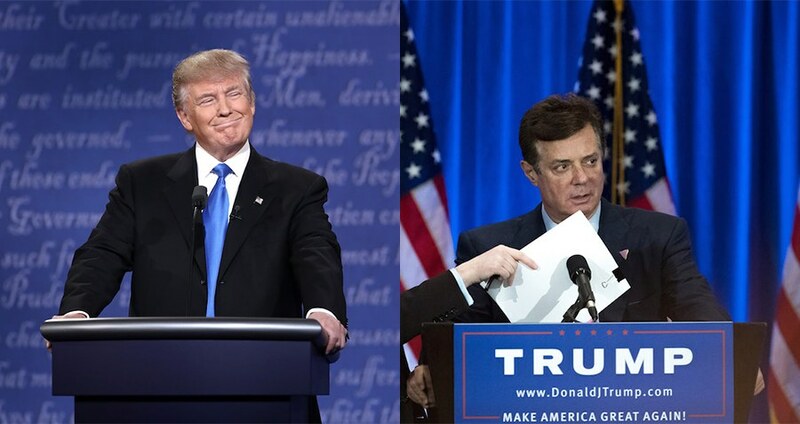 Win McNamee/Drew Angerer/Getty Images/ATI CompositePresident Donald Trump (L), former Trump Campaign Manager Paul Manafort (R). Former Trump Campaign Manager Paul Manafort received tens of millions of dollars from a close associate of Russian President Vladimir Putin to unofficially lobby for the Russian government, reports The Associated Press. Manafort was forced to resign from the Trump campaign after the AP revealed he was working to advance the interests of a failing pro-Putin satellite government. Beginning in 2006, Oleg Deripaska, a known Putin proxy, paid Manafort $10 million on an annual contract to sway politics and news coverage within the U.S. and Europe to favor the Russian government, the AP reported. This went on until at least 2009. While President Trump’s administration has actively denied that Manafort worked to advance Putin’s worldview, the documents AP managed to obtain include strategies to do just that, as well as invoices for international wire transfers worth millions of dollars. 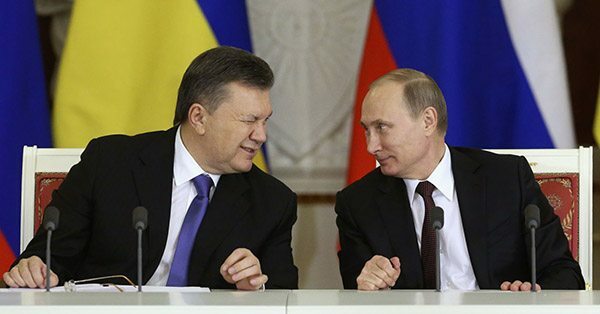 Meanwhile, Manafort was forced to resign from the Trump campaign after the AP revealed that he had orchestrated a covert lobbying campaign for a pro-Putin Ukrainian government in danger of losing its grasp on power. Members of the U.S. Congress have not taken these allegations lightly. Others, such as Republican Sen. John McCain, felt this new report offered even more evidence that an independent congressional committee needs to look into Trump’s past, which seems more checkered by the day. House Democrats on the intelligence committee appear to agree. She added that they would investigate these new documents within their Congressional authority. Next, check out how Trump’s defense secretary said climate change is real and has major military implications, before finding out why George W. Bush has rebuked Trump’s travel ban, his Russian connections and the attacks on free press.